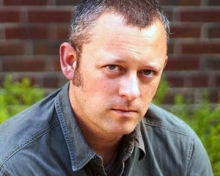 Award-winning novelist, comics writer and screenwriter Benjamin Percy will present “Making the Extraordinary Ordinary” from 3 to 4 p.m. Wednesday, Feb. 6, at the Daytona Beach Regional Library, 105 E. Magnolia Ave. He will address the works of Ursula K. Le Guin, Angela Carter, George Saunders and Stephen King and their techniques and purpose when writing the fantastic, the speculative and the weird. Percy wrote four novels: “The Dark Net,” The Dead Lands,” “Red Moon” and “The Wilding,” as well as two books of short stories. He broke into comics in 2014 with a two-issue Batman story arc for Detective Comics. After celebrated runs on Green Arrow, Teen Titans and James Bond, he now writes Nightwing for DC Comics. Percy also writes the audio drama “Wolverine: The Long Night,” a 10-episode podcast series starring Richard Armitage and produced by Marvel and Stitcher. His presentation is part of the Volusia County Public Library's NEA Big Read, a six-week celebration of “A Wizard of Earthsea,” a 1968 fantasy novel by Ursula K. Le Guin. The NEA Big Read is a program of the National Endowment for the Arts in partnership with Arts Midwest. Reservations are not required. For more information, call the library at 386-257-6036.